For fans of the old school classic board game Risk, you may find yourself enjoying a new game to hit Google Play called Age of Civilizations. In the game, you play as the leader of your country, with the main objective of the game being to take over the known world using your forces. However, beware of spreading your forces to thinly. Other countries are waiting to invade your turf, and if you cannot control your capital city for more than 3 turns, you will lose everything. While the game to me seems rather complex and sort of snoozy, there are plenty of people who enjoy the real-time strategy aspect of games like Risk, so this mobile title should be right up your alley. The game lacks awesome 3D graphics and action-packed gameplay, but sometimes, games that flex your brain power are the best. 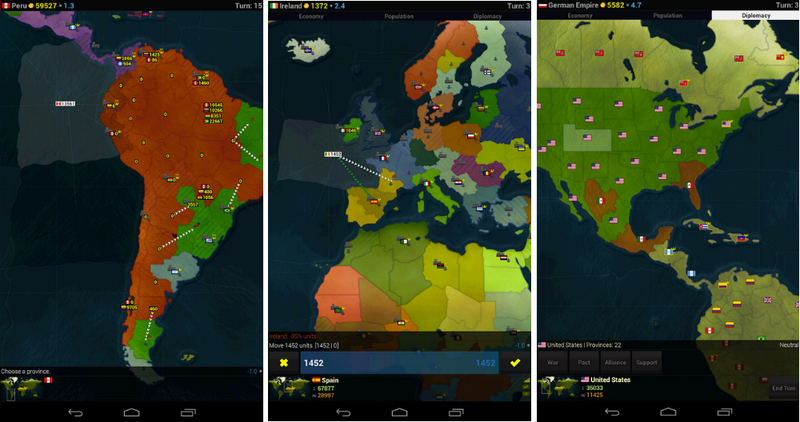 Age of Civilizations is available for just $1.89 through Google Play. Question of the Day: What Don't You Like About Your Current Phone?